The pickling of carbon steel is one of the treatments that Bama carries out daily. The carbon steel pickling is a cleaning process that consists in the elimination of certain types of residues from this material. The residues are mainly oxides: rust, splinters or other particles that have been transferred to the material after it has passed through the machinery that contained them, during previous processes or due to prolonged exposure to the atmosphere. Carbon steel differs from other types of steel due to its lack of resistance to corrosion. In fact, while stainless steel contains elements such as nickel and chrome that accentuate the resistance, carbon steel needs to be protected by surface coating treatments or in some cases where this is not possible, it is pickled and passivated. 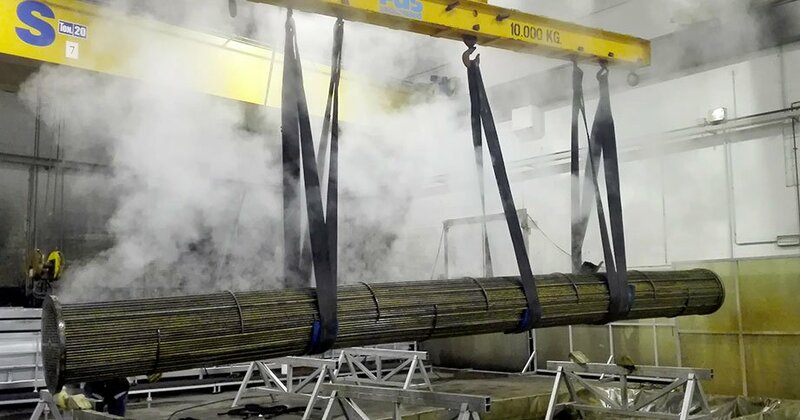 The parts or products that are most frequently subjected to this treatment are prefabricated pipes for the passage of gaseous elements, for oxygen use, for service to compressors or turbines or for hydraulic use. In addition, tanks and components for valves can be treated. 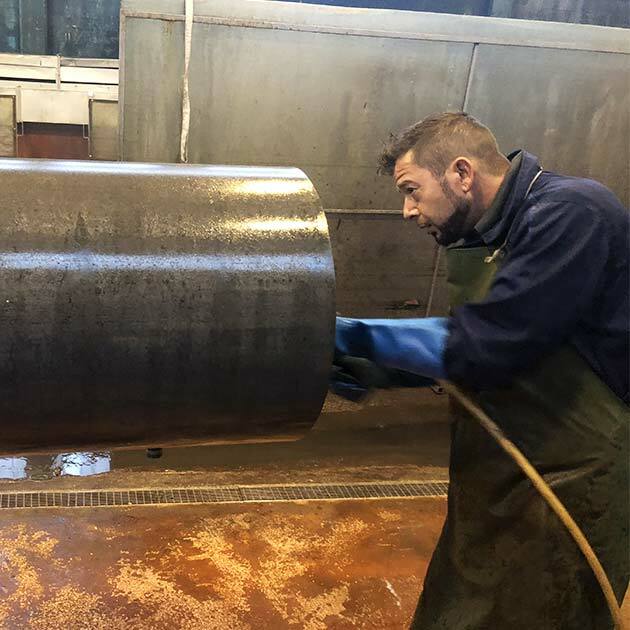 It follows that the pickling treatment of carbon steel is much more relevant and frequent than that of other types of steel, as it is considered to be a relatively "fragile" material in this respect. The pickling treatment of carbon steel follows the rules that apply to all other metals and metal alloys that Bama treats. In this specific case, solutions based on hydrochloric, sulphuric or phosphoric inhibited are used. This can be done by immersion in dedicated tanks with a capacity of up to 50 cubic metres and dimensions of up to 13 metres in length and 3 metres in width, or by using spray applied products such as the Bama Carbogel Quick, formulated and produced by Bama in its own laboratories and specifically for carbon steel alloys. 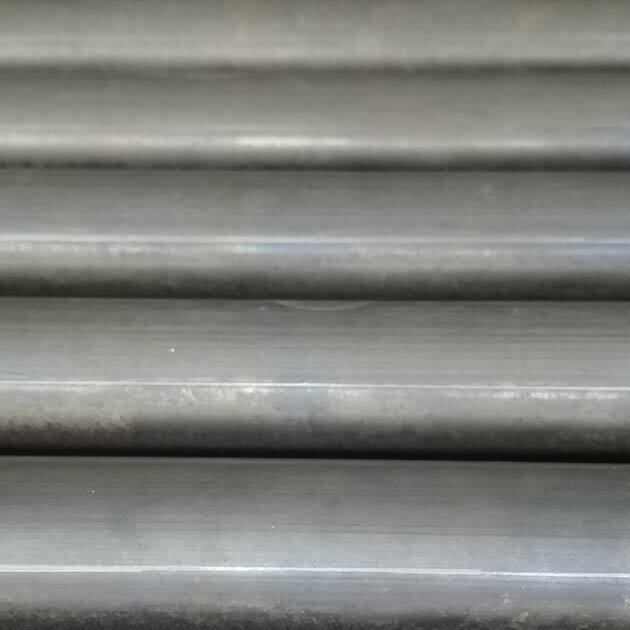 In all these cases, the principle remains therefore the effect that these solutions used in the pickling of carbon steel have, that is, to meticulously remove any residue of oxide type. This is a fundamental effect for the transition to subsequent processing phases such as passivation; in fact, after the pickling process, the product is subjected to the passivation process with alkaline or phosphoric solutions.